This was the first group walk of 2018 that I’d attended. Part of my inspiration for that was in the fact that we’d be heading to the Black Mountains in Wales… Although, technically, we’d also be passing through the Brecon Beacons National Park. It was the first time that Sarah would be leading a walk by herself. She was one of three other participants (along with myself) who spent the weekend in the Brecon Beacons back in November, as part of a walk leading and navigational training exercise. 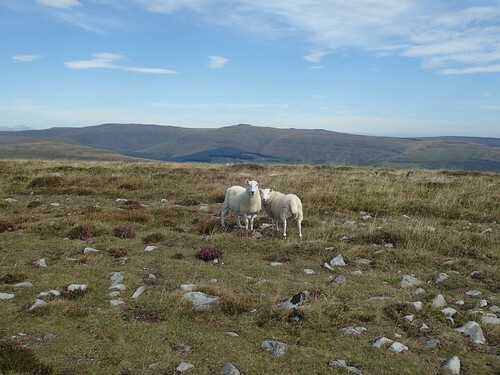 This entry was posted in Wales and tagged Beacons Way, Black Mountains, Brecon Beacons National Park, Brunel Walking Group, Crickhowell, Crug Hywel, hiking, Pen Allt-Mawr, Pen Cerrig-Calch, Pen Gloch-Y-Pibwr, Table Mountain, Wales, Walking on 26/02/2018 by Olly Parry-Jones.